Boil the water in a small pot, then turn off the heat. Place in the tea bags and let steep for 10-15 mins. Remove the tea bags. Add in the sugar, stir until sugar are dissolved and let cool. Put 4-5 slices of lemon (adjust to taste) and ice into each serving glass. 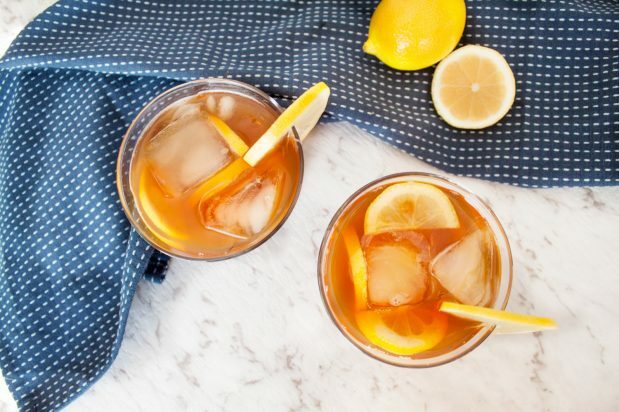 Pour in the tea and garnish with a slice of lemon on the glass.